Have you been driving around the Kent and Des Moines area searching for auto mechanics to service your Ford? The auto repair technicians at Premier Automotive Services have the know-how and great customer service that will give you peace of mind. Ford is such an iconic company that it’s difficult to even begin talking about them. There’s a reason Ford has been around for over a century, and what American doesn’t know about Ford? There are countless types of vehicles manufactured by Ford, from its line of trucks to subcompacts. The auto repair gurus here at Premier Automotive Services understand the loyalty that people have for this great and iconic company. 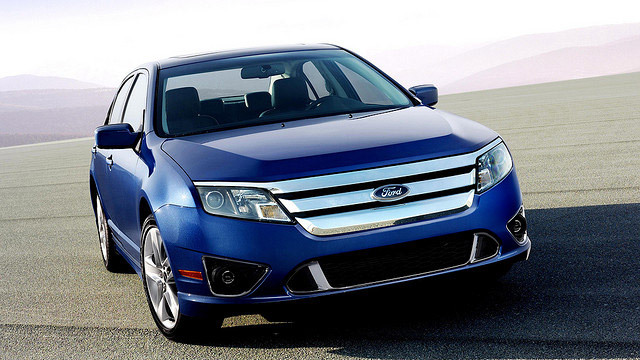 As loyal as you are to the Ford brand, we’d love to earn your loyalty, too. People in the Kent and Des Moines area will tell you that we have an honest, straightforward approach to auto repair that you might have never experienced before. We’ll explain the process when you come into Premier Automotive Services. Our ASE-Certified technicians will give your car a digital inspection and explain all the options you have. Then you decide your priorities. “These folks are the best! They tell it like it is, follow through and back up their service. Friendly, professional and courteous. The lobby is clean, too! This shop would be the south end's greatest kept secret if their clients were not so enthusiastic about the experience!” -- Ellie P.
Our technicians at Premier Automotive Services would love to service your Ford vehicle. Our guiding principle is to take care of our customers first. Why not schedule an appointment today? We are conveniently located at 25009 Pacific Hwy S, Kent, WA 98032. Our hours are 8:00 AM - 5:30 PM, Monday - Friday.